Yuba Hut is a fast causal Japanese restaurant. Interestingly, the restaurant has expanded quickly since its inception, opening its third outlet at Northpoint City, Yishun. 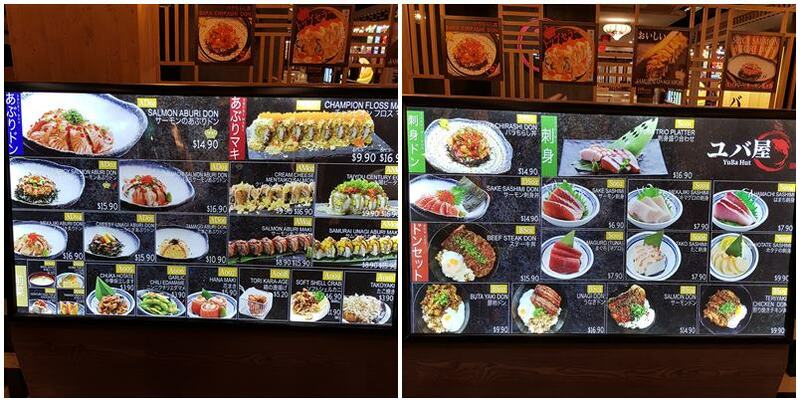 The first two outlets are located at Heartland Mall and Hillion Mall. Yuba Hut serves modern Japanese fusion cuisine such as Aburi-style Makis, Don and Sashimi. 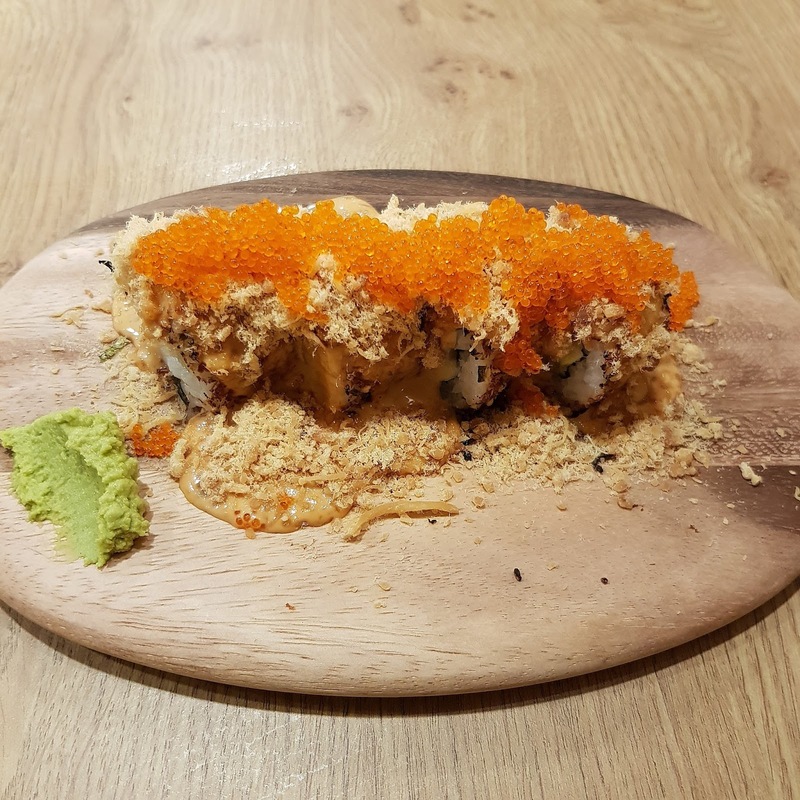 This is its signature Aburi-style Maki; Champion Floss Maki $9.90. This Maki is full of ingredients. 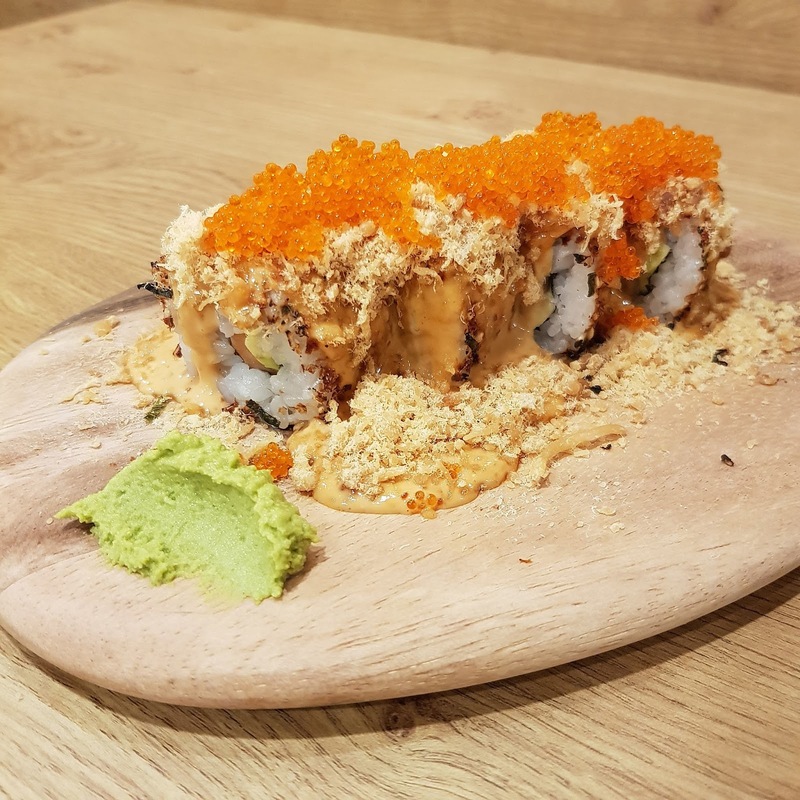 The sushi rolls are wrapped with aburi-styled (torched) salmon slices and topped with mayonnaise sauce, chicken floss and fish roe. With the ingredients, they provided different dimensions in taste and texture. You get to taste the crunchy roes followed creamy sauce and the soft salmon slices and sushi roll in one mouthful. Oishi! 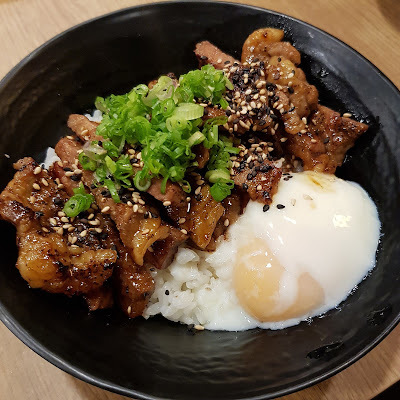 The Beef Steak Don $15.90 consists of beef steak slices with onsen egg on top of rice. The steak was surprisingly soft and tender although it was well done. The addition of the onsen egg enhanced the creaminess and flavour of the don. 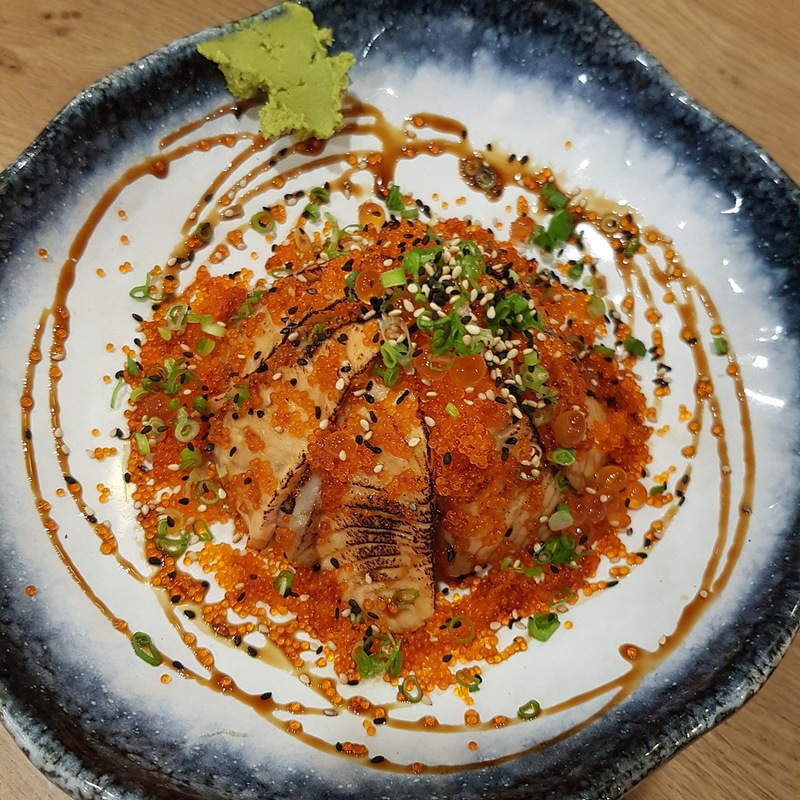 The Salmon Aburi Don $14.90 is another signature dish at Yuba Hut. It is essentially aburi-styled salmon slices with fish roe on top of the rice. Light sauce was also added into the rice bowl and also used as decoration along the sides of the bowl. I was not blown away by this don. In fact, I was disappointed that it was so salty. Even though I was cautious not to mix all the light sauce with the rice, the don was just too salty for my liking. The Beef Steak Don $15.90 definitely tasted way better. Yuba Hut is worth a try. If you are someone like me who dislike salty dishes, I would advise you to either avoid ordering the Salmon Aburi Don or make a request for them not to add light soy sauce.